Pet owners and pet lovers know just how hard it can be to find a relaxing, chilled out environment that allows canines. 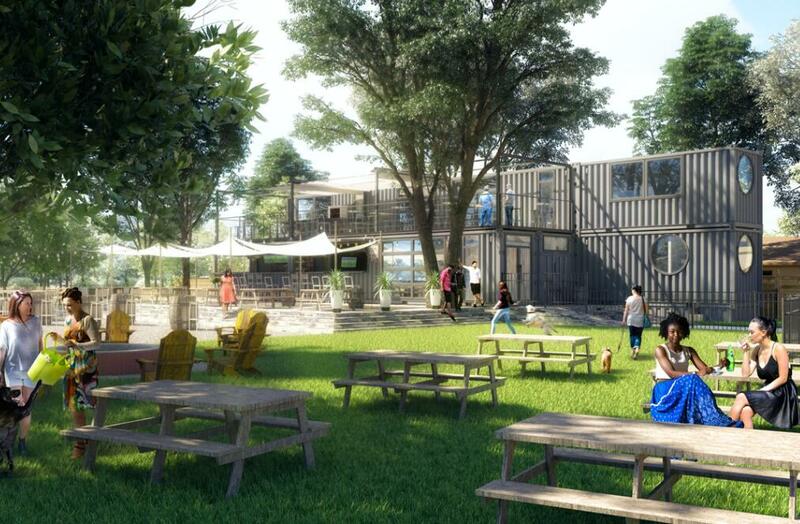 The container dog bar in Florida, USA offers the perfect venue for dog lovers and owners to enjoy quality time with their pets in the safe confines of a fenced-off area. 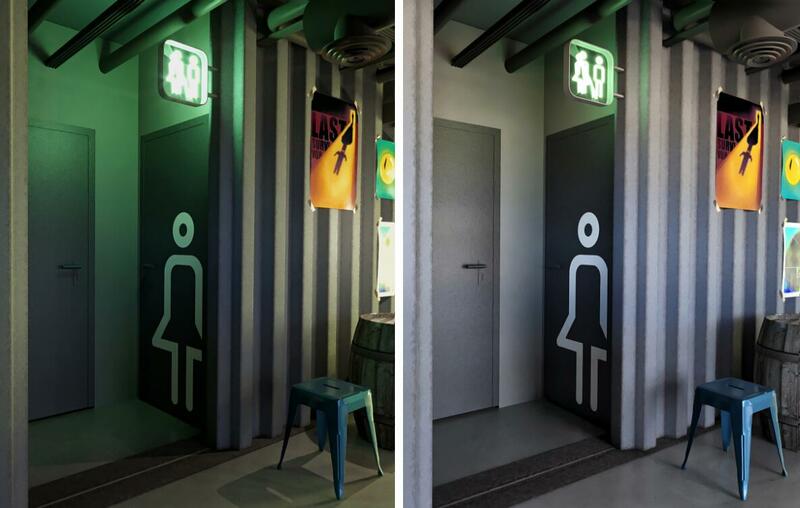 The design concept for the dog-bar focusses on an environmentally conscious approach to create the ambiance of an outdoor market. 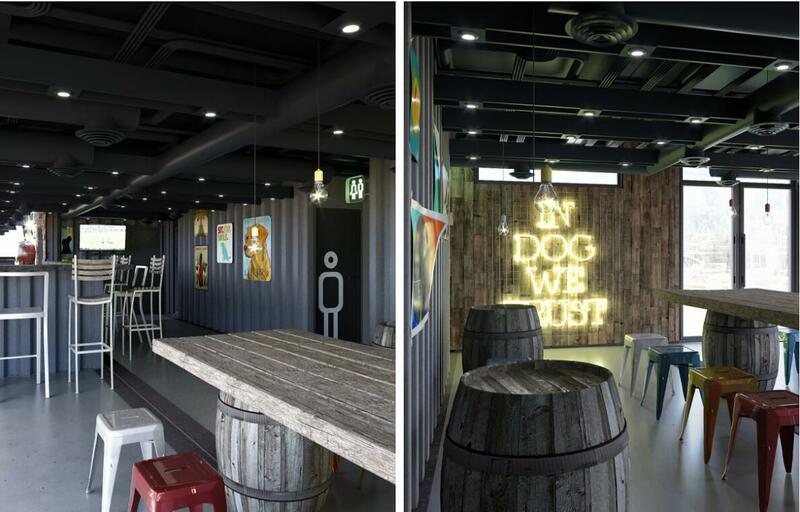 Using repurposed shipping containers for the main structure was the first step towards an eco-friendly design, but this approach was also considered in interior details for the dog-bar. 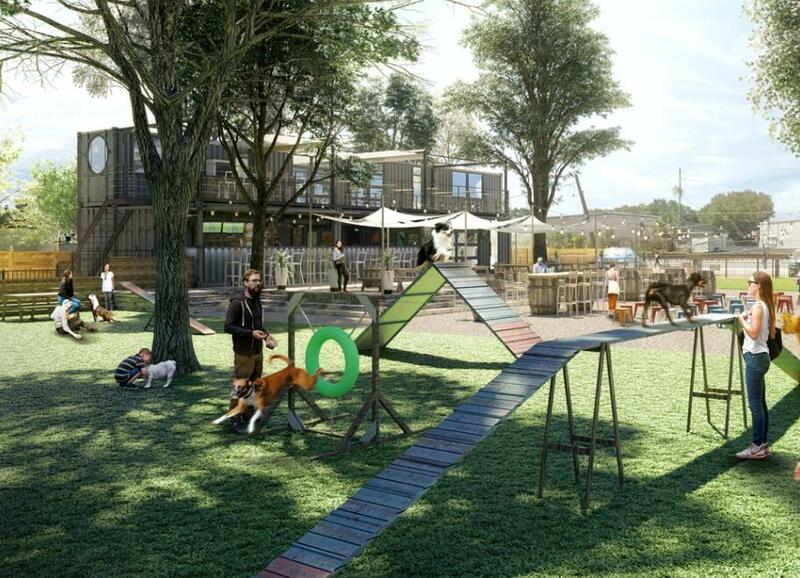 The outdoor space is envisioned as a social, playful zone where owners can freely interact with their pets or enjoy a relaxed conversation with like-minded pet lovers. The energy created by several off-leash dogs is balanced with live music and plenty of chilled beer on offer. 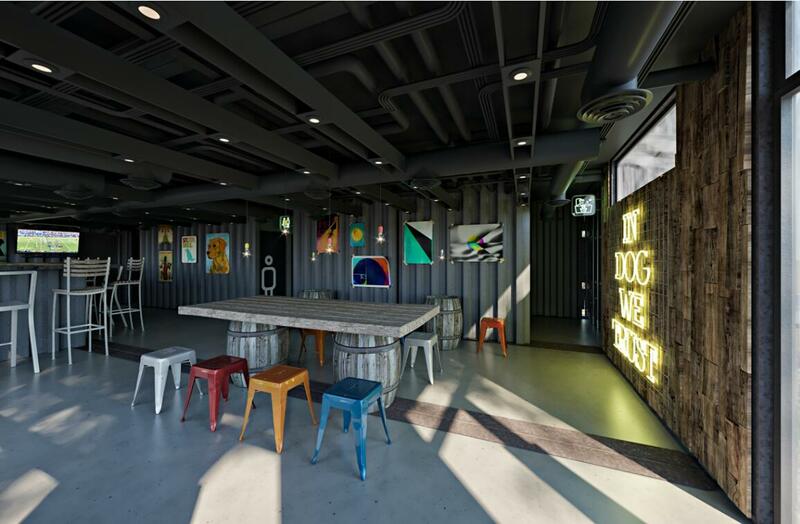 Peppered with lounge seating, benches, and a gas fire-pit, the exterior of the dog bar is akin to the popular weekend markets that attract a host of different people; only this time their pets are welcome to enjoy the festivities as well. Moving inside, the vibe for the interiors is an industrial style, clean, easy-to-maintain space with polished concrete floors and a dark, painted ceiling with exposed pipes. 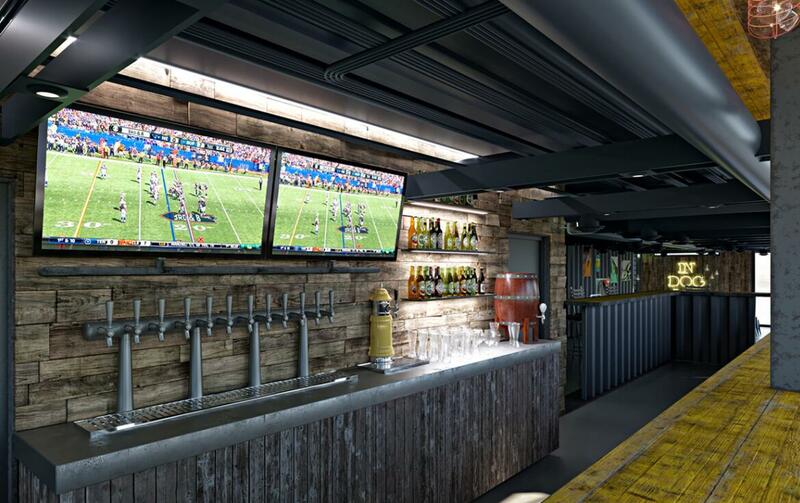 The furniture and interior finishes are selected to enhance this look; repurposed barrels form the legs for wooden tables, wooden cladding forms a neutral backdrop for colorful beer bottles and polished concrete floors complement the wood and metal finishes, while being easy to keep clean. Colored posters and bright plastic stools provide sparse pops of color that don’t detract from the clean industrial look. 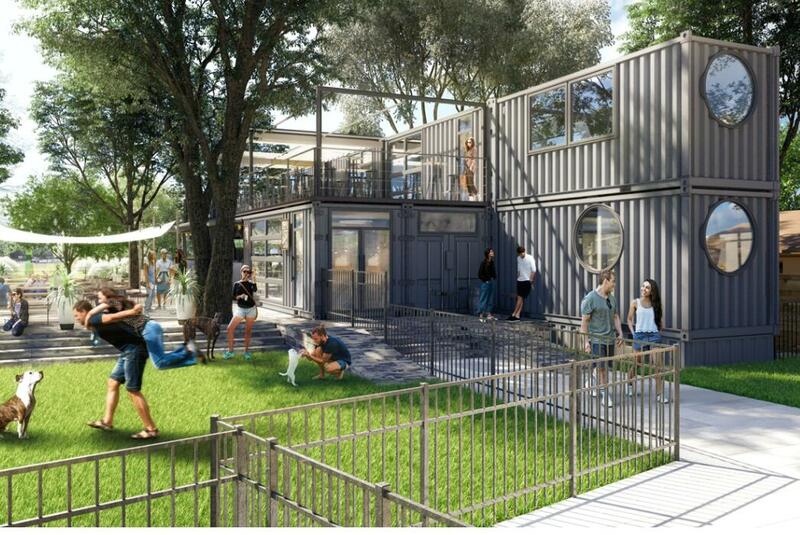 Fun, safe and relaxing, the container dog bar is the ideal place to hang out with friends of the two-legged and four-legged variety!